Joined KFUPM on May 2017. Main responsibilities include, troubleshoot, managing & maintaining IT related issues. Attained a Diploma In Electronics & Communication Engineering. 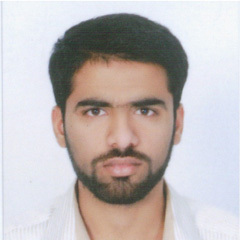 Having experience in IT field & previously worked with Mobily as FTTH Operations Analyst where he was managing & Maintaining the operations of FTTH through (SQL/SOAP/Visionael-OSS/Comp-Tel-OSS/Oracle-CRM/Xenox/BOAP/Arc-GIS), and holds experience in Fiber Optic Major Networking tools (ZMS – Zhone / U2000 – Huawei).